If you’ve listened to the radio this past year, Francesco Yates and New City are names you’re bound to know. They’ve both been on top of their game, releasing multiple smash singles and being the face of the most frequented Spotify playlists. Both also made their presence known at the Canadian Radio Music Awards during Canadian Music Week (CMW) last week – Yates supporting this year’s many talented nominees, and New City performing and taking home an award of their own. This being their first year at the festival, New City could’ve fooled anyone into thinking they were seasoned veterans. They launched onto the scene last year with their fun, summery debut single “Coachella.” Members Adrian Mitchell, Nathan Brown and Jed Webster are as sweet as they are edgy and bring some extra sass and strut to the typical pop-rock boyband sound. 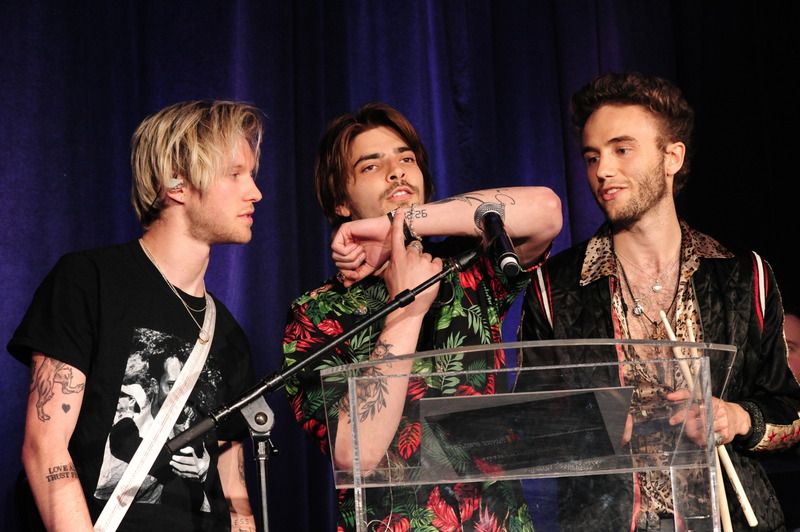 During CMW, the guys picked up the Canadian Radio Music Award for Best New Group or Solo Artist: Dance/Urban/Rhythmic, proving they’re definitely artists to watch. 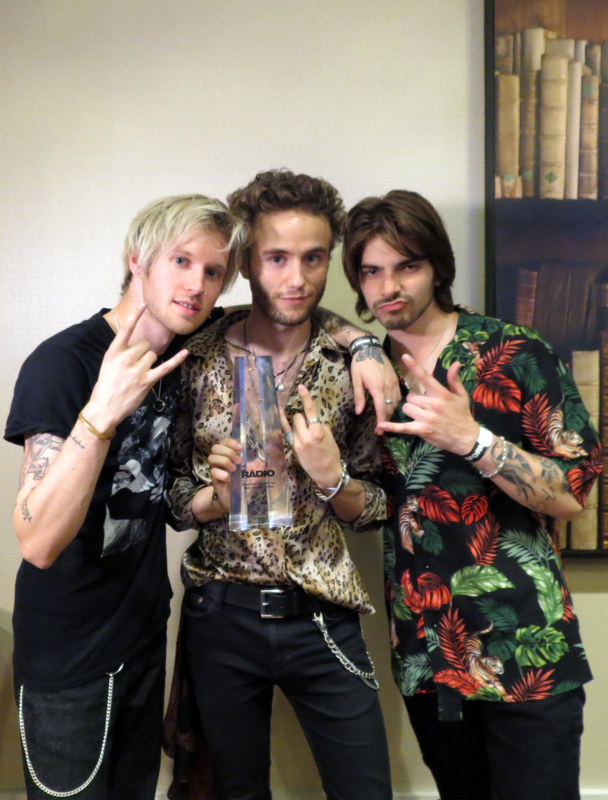 RUtv News caught up with Francesco Yates and New City after the Canadian Radio Music Awards to talk about the importance of CMW, their fave fellow Canadians and where you can see them live this year. We’re here at the Canadian Radio Music Awards! How important do you think it is to have a show celebrating the Canadian talent we hear every day on the radio? Francesco: We’ve come so far and we have a lot more to go as a Canadian music scene. That’s why I’m here. I’m looking forward to what’s next. Adrian (New City): I think it’s important because there’s a lot of hidden talent in this big country we call Canada. Since we’re all from different parts of the country – Nathan and Jed are from New Brunswick, I’m from here in Ontario – to bring Canada together in this way and to meet these guys and put this music out together is an incredible opportunity. Jed (New City): We remember growing up in New Brunswick learning about CMW, volunteering a few years ago and so it’s crazy to be here together this year. Nathan (New City): There are not many events for music like this and so I think even for students or people that are interested in music, for them to see how the industry works, this is one of the few places where you can get that inside view. Who are some of your favourite fellow Canadian artists? Francesco: I just met Daniel Caesar here tonight and I love everything that he does. I love Jessie Reyez as well. Of course, there are also the real legends now – Drake and The Weeknd. I think we have a real strong personality here and I love being part of the community. Jed (New City): Justin Bieber, Shawn Mendes…all of them! Do you remember when and where you were when you first heard one of your songs on the radio? Francesco: I think it was like 3 a.m. when I was coming home from a studio session and I heard it on the radio and it was very gratifying, but also humbling too. I was also a little freaked out and surprised. There were a lot of emotions. Adrian (New City): I was actually just in my condo sitting in my bed and this tattoo right here, this is the exact time I heard it. This was the time I had been striving for. It was also the only time I had been looking at the clock that night. It was a moment of fate! For readers who have yet to hear your music, can you deliver a one-sentence pitch as to why they should give you a listen? Nathan (New City): Listen to us if you’re not trying to think too much and just want to have a good time. What should fans expect from your forthcoming music? Francesco: I’m stepping outside of my safe zone. This year and the years forward are going to be all about pushing the boundaries for me, and I mean really pushing the boundaries. That’s what I want to do – break the mould somehow. You’ve had an incredible year. What’s next for you? Francesco: I’m going to be doing my own tour, though I’m not exactly sure when that’s going to be scheduled yet. I think there’s also going to be some more shows opening for Justin Timberlake. I don’t want to confirm too much but I am very excited. The first shows with Justin were pretty unreal. I learned a lot from watching him. It makes you grateful for life. Adrian (New City): Lots of music! A new single, more shows, an EP… We’re about to head out on tour in the U.S. with Jake Miller and we can’t wait.